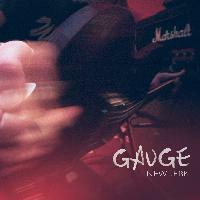 Gauge is probably one of the best bands you’ve probably never heard of, or maybe only heard of vaguely. But Gauge were the spearhead of a Midwest movement that spawned and influenced bands you certainly know, such as Braid, Cap’n Jazz, and many others. They stopped playing as a band just at the moment that bands playing their particular brand of music started gaining national recognition and following. They stopped too soon, as drummer Ryan Rapsys mentions in the new DVD, “Gauge: 153.” I agree. But now, there is a second chance. Gauge was one of my favorite local bands back in the early 90s in the Chicago area. They were a bunch of suburban kids who were talented musicians, and some of whom grew up listening to the Dischord emo sound coming out of Washington DC. They formed in early 1991, and played together nearly four years, playing 150 shows and releasing a demo tape, three 7” records, two full-length albums, and a 10” album. I was lucky enough to get to know them, and helped release their first full-length, “Soothe,” as a joint venture between the band, my Radius Records label and Minnesota-based THD Records. When I heard that October 6, 1994, was to be their last show, I was devastated. No longer would I get to hear their incredible music, the blending of DC emo, Chicago power-crunch, and math-inspired lines. 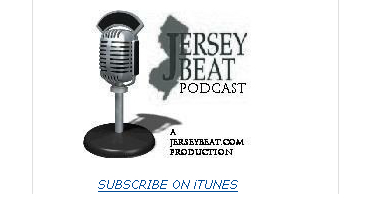 Flash forward fifteen years: In August, 2009, the members of Gauge, Scott “Gub” Conway (lead vocals, guitars), Kevin J. Frank (guitars, vocals), Neil Sandler (bass) and Ryan Rapsys (drums) decided to get together to play some of their old songs. By the end of that night, they decided to record some songs, both new and old, and play a reunion show or two. So, in December, 2009 and January, 2010, after a few months of getting reacquainted, rehearsing, writing and rearranging, they entered the studio. The laid down the tracks for the “Mints” 7” and put the finishing touches on “II,” a compilation of the second half of their discography (“I” had been released back in 2000). 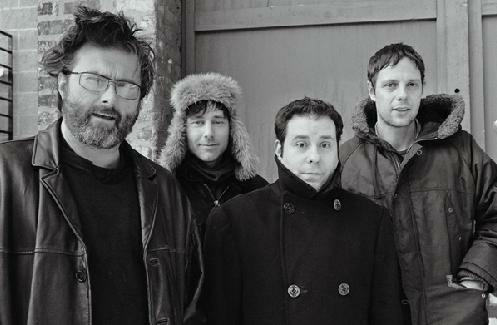 And in March, 2010, they played a three shows, in Chicago and in Milwaukee. When I heard about the shows, I was seriously torn. Had I still been living in Chicago, I would have been there in an instant. But I’m now in sunny San Diego. And the shows were scheduled during my birthday weekend. Should I go? Or should I stay in San Diego and celebrate my birthday with my friends? Ultimately, I chose the latter. This proved to be the wrong choice. Not because I had a lousy time – I had a lot of fun that weekend. But Gauge is back (sort of) and better than ever! What follows is a review of the recent releases resulting from the long overdue reunion. The “Mints” 7”, the “II” digital download compilation, the “New Jerk” 3-song download, and “Gauge: 153,” a DVD documentary of the band, featuring live performances from show 153, the reunion at the Bottom Lounge in Chicago, March 6, 2010. “Mints”, “II” and “New Jerk” are available as downloads from gauge.bandcamp.com, while the physical “Mints” 7” and the DVD are available from Shakefork Records (www.shakeforkrecords.com), a record label started in the western suburbs of Chicago by Ray Kolenko and revived by the reformed Gauge. This 7” was available as a 2-song single at the reunion show at the Bottom Lounge, but it’s also available as a 4-song download from gauge.bandcamp.com. 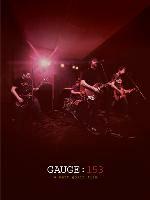 The download also contains the cover art and trailer for the movie, “Gauge: 153” (more on that later). 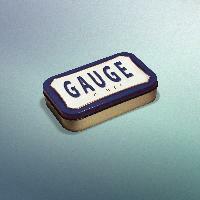 The four tracks include new recordings of classic Gauge songs and one brand new one. First up is “Feed the Dry,” from the album, “Soothe,” their first full-length. Listening to the new track and the original back-to-back, a couple of things are notable. First, the new recording is much higher quality than the original. Second, and most important, it’s striking how much better the new recording sounds than the original. The band is tighter, the sound is bigger and crunchier, and the vocals are even better. I guess it’s not so surprising, given how young the band was when they first recorded this, and how much more experience they now have as musicians. Next up is “Sheephurter,” which came from the second full-length album, “Fire Tongue Burning Stomach.” This is a very DC, 1990s sounding track on the original, not surprising given the band’s influences. They took the DC post-emo sound and “Midwest-ified” it, as is mentioned in the DVD, by making it crunchier and bigger sounding, and adding math-rock elements. The new recording gives up much of the DC sound in favor of more of the Midwest power-crunch sound. It was probably a good move, even though I like the original a bit better; it makes the song sound fresher and more relevant. Next is “New Jerk,” a brand new song. It just shows what could have been had they stayed together longer, and what may yet be to come, if they stick with it more than a couple of shows here and there. The song is very Midwest crunchy guitar, very powerful, and yet it seems to glide effortlessly. The final track is “Stinksmell Boy,” also from the album “Soothe.” Again, it sounds stronger than before, tighter, and more powerful. The physical 7” is on white vinyl, with a very simple white label and very high quality color sleeve, and contains “Sheephurter” and “Feed the Dry.” The other tracks are only available as downloads. Highly recommended that you get both! 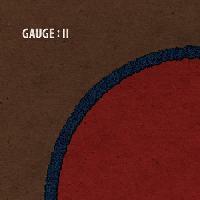 II is available only as a digital download from gauge.bandcamp.com, and contains everything from the latter part of their career: the “Swing” 7,” “Fire Tongue Burning Stomach,” “43,” a 10” that was their final, posthumous release, and three additional recordings previously unreleased. (“I” was released back in 2000 and contained their earlier material.) What’s interesting to note is that on the two albums that form the majority of this disc, they had re-recorded earlier songs that had already been released (not unlike the “Mints” 7”). But these aren’t simply re-recordings that sound the same and fill space. The songs had evolved, and the band had grown. It’s pretty clear when listening to all of the older stuff from the earlier recordings how much they had grown. While their earlier material, especially the tracks from “Soothe,” are their most remembered, Gauge was creating some truly amazing music in the latter part of their career. Among the highlights is “Autopilot,” a rare instrumental, which has incredible time shifts, huge dynamic range, and explodes with power. “Riverside” is a re-recording of a song from their original demo tape, and probably the song that most grabbed me when I first saw them play back in ‘92. It’s fairly simple, but I really like the melodic lines. Then there’s “Soothe.” It’s a song named after an album? Maybe not, but this song has intense, angular lines. Gauge were (are) masters of punctuating incredibly intense songs with brief moments of silence, and that’s on display here, and there are two versions of the song, one from each album. The song asks, “Do you like what I’m doing?” My answer is yes. “Chola Moo Key” is another great one, with huge dynamic and emotional range, going from raging wall of sound to quiet, gliding crooner. The songs from “43” are just incredible, and hint at what could have been. The band was moving into new territory, maturing and playing with ever more intensity, power, and restraint all at the same time. Listen to “Arsenal Tree Nursery” for an example. Then there’s “Snowflake,” the poppiest song ever to come from this band. It’s light and breezy, just like a snowflake carried along by the winter wind. The album ends with “Blank,” another song named for an earlier release. It’s called “Gauge: 153” because it started life as a video recording of their 153rd show, the big reunion at the Bottom Lounge in Chicago on March 6, 2010. But, as filmmaker Matt Golin states in the liner notes, he was interested in doing a proper retrospective of the band, rather than just filming the show. So that’s sort of what we end up with here. He states that “trying to make this a true tribute to Gauge without coming across as too ‘kiss-assey’ was a fine line [he] tried to walk,” but it seems he kind of fell on the wrong side of the line. 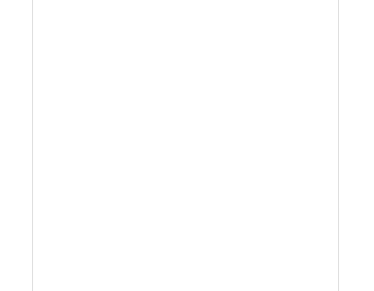 I know, my reviews come across the same way, but hey, mine are reviews of a band I love. This is supposed to be a documentary. The film starts out with some reunion show footage interspersed with facts from the bands history shown in text, such as significant shows, recordings, etc. What then follows is a combination of historical footage of the band playing early shows, archival photographs of the band, flyers, cover art, and interview clips from members of other bands of the time and place – the suburban Chicago punk scene. They gush about how influential Gauge was, how inferior they felt when they played with them, and how they taught them how to be in a band. There are full songs from the bands rehearsals after getting back together and from the reunion shows interspersed, and Golin states he had to decide whether to create a festival circuit worthy documentary, cutting into the songs with the narrative, or leave the performances whole. He decided on the latter, saying it would be a shame to cut them. However, I feel that the film would have been better served had he chosen the former, and made this a true documentary. He could have had the full performances as bonus features, which he actually does with other songs. I would have liked to have seen more in this film about what the members of Gauge were doing before they came together, how and why they came together, and more about how they evolved. Some coverage of the problems they faced as a band (they nearly broke up a few times, with some members not speaking to each other for weeks on end during tours) would have been good. And, while the film briefly touches on why they broke up, it would have also been nice to include more information about what each of them decided to do after Gauge, and how they decided to come back together for the reunion. People who contributed tributes and interviews to the film include a who’s who of the suburban “Shakefork” scene, such as Rob Roy Campbell (Eskimo Nation and Self Help Mantra), Scott Schellhamer (Tetsuo and Ghosts & Vodka), Jonathan Scott (Cinco de Gatos), Bob Nanna (Friction and Braid), Andy Kuharich (recording engineer for “Fire Tongue Burning Stomach” and “43”), Joe Campagna (Sidekick Kato and Damp Hay), and Tim & Mike Kinsella (Cap’n Jazz). Significantly missing is any input from Ray Kolenko, who founded Shakefork Records, and who many credit with really creating that suburban scene through putting out the records for many of the bands. Halfway through the 50-minute film, we finally heard from Gauge themselves, and they briefly discuss the reasons for the breakup. The performances from the reunion show were what I was really looking forward to, since I missed it. The performances are powerful and even better than ever, as I’ve mentioned in the review of the new 7”. One highlight is the performance of “Soothe,” in which Frank’s vocal portion (where he “sings” “This is all I have for you”) sounds incredibly Albini-esque, which he never was before. You can feel and hear the anger and bitterness in his voice. The rendition of “Autopilot” (from show 152 at the Bay View Brew Haus in Milwaukee) here is even more incredible than the original, with the quiet parts sounding infinitely more delicate, and even sad, and the loud parts just as intense as ever, but even tighter and more creative. Overall, I’m kind of torn about the DVD. On the one hand, it doesn’t really succeed too well as a true documentary. It’s missing too much information and the interviews come across as too much gushing tribute. On the other hand, as a document, particularly of the bands reunion shows, I love it. So what does the future hold now for Gauge? I can’t really say, but what started out as a simple plan to play together, then turned into a plan for a reunion show, then turned into new recordings and a few reunion shows has continued. Gauge has played several shows in the greater Chicago area in the months since the reunion, apparently inspired a Cap’n Jazz reunion. The two bands recently did a mini-tour along the east coast, even playing Maxwell’s in New Jersey. I certainly hope they continue playing together, and even writing new songs. I hope to be able to plan a trip back to Chicago sometime to catch a show, and have started cajoling Neil Sandler into planning a west coast mini-tour.